Roy Keane is not the man you think he is, or the failed manager you suspect he might be but, at some point, he needs to prove it, perhaps, even to himself. We are approaching the now-or-never stage. There is more to Keane than he will let you see but, if he wants to go back into management, he cannot hide it any longer. For a man who has never been scared to voice an opinion, it is surprising that Keane has not publicly defended himself against the allegation, in the aftermath of a training-ground bust-up with Ireland internationals Harry Arter and Jonathan Walters this year, that he is nothing more than an expletive-fuelled bully. The argument made was this - Keane may have been a brilliant player and captain for Manchester United, but he is, to borrow a phrase from Noel Gallagher, a fork in a world full of soup. Too harsh for modern football, where players need constructive criticism rather than a verbal assault to motivate them. It is wrong because if that was all Keane had spent the past five years doing, he would not have lasted five months as Martin O'Neill's assistant. 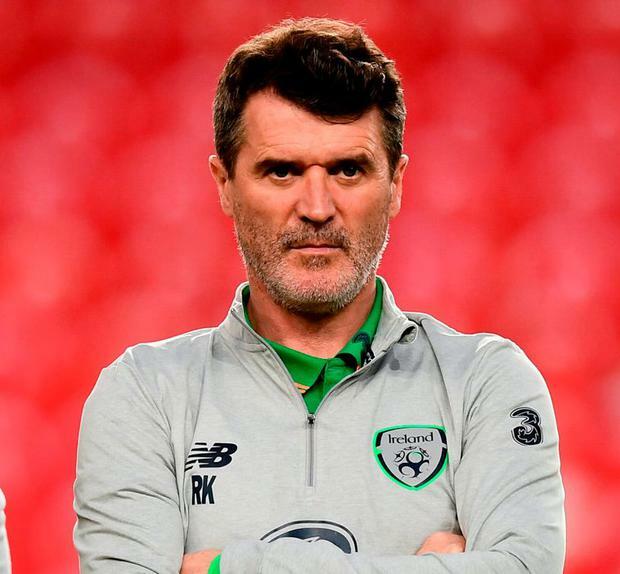 There is a role Keane plays, fuelled by his successful television career, that he has mastered - a sharp-tongued critic of football, dripping in sarcasm and pithy observations, delivered with an array of pursed lips, glares and eye rolls. And then there is the Keane who has worked with O'Neill. Loyal, insightful, bristling with positive energy, a motivational force. The 47-year-old is a little softer around the edges. Until that leaked bust-up with Arter and Walters, Keane's rehabilitation as a coach was going well. There was a perception he had changed. Still able to command respect, but no longer the confrontational, overly demanding figure who failed so spectacularly at Ipswich. But as things unravel with Ireland, as the criticism grows stronger and calls for their removal louder, Keane has a choice to make. Ireland will try to regroup after a woeful 2018 ahead of the European Championship qualification campaign in March. O'Neill has vowed to carry on, but there is a chance he could be tempted away. There will be offers. O'Neill has been approached several times by English clubs seeking new managers, most recently Stoke City this year, but turned them down. He may not have the same resolve next time. His name remains above the door, but like a pub without beer, something fundamental is missing. Ireland are no longer playing like an O'Neill team. He must ask himself if, after half a decade, he has done all he can. His achievements, guiding Ireland to the knockout stage of the Euros for the first time, reaching a World Cup play-off with a poor team lacking a regular goalscorer, are forgotten. Such is the nature of management, when results go bad, but his work has always seemed to be rated more highly on this side of the Irish Sea. The one stain on O'Neill's reputation, after so many years of success with Wycombe, Leicester City, Celtic and Aston Villa, is his sacking at Sunderland. Hardly career-blemishing, when so many others also failed or got out before they could. Keane was not one of them. His work at Sunderland should not be ignored; taking a team bottom of the Championship, promoted as champions and keeping them in the Premier League. He galvanised a football club and a city. As bad as his time at Ipswich was, an experience that bruised because of the mistakes he knows he made, Keane should not be written off, especially if a club needs a spark. If O'Neill leaves Ireland, there is a chance Keane will merely go with him, that he will carry on as an assistant. He enjoys it, but also because he has become so close to O'Neill. Yet, it feels like Keane has unfinished business as a manager, that there is a club out there that needs someone like him to grab a team by the scruff of the neck and drag it upwards.